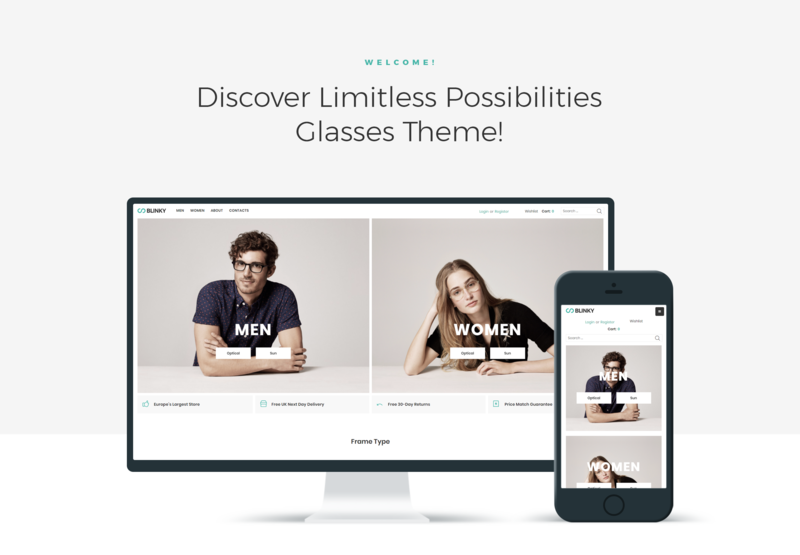 Present your glasses store in the most extraordinary way using Blinky theme. It has an intuitive interface and an attractive design. It will be possible to show glasses by different frame types, brands and gender. Also you will provide relevant information about delivery, return and guarantee services. You will add needed changes to your website according to your needs and taste using Jet plugins for Elementor page builder. With JetWooBuilder plugin you will create unique WooCommerce Single Product page templates or Product Archive templates and use them for the products represented on the website. Using JetProductGallery plugin you can display WooCommerce products from all sides, organizing the images in a convenient gallery. It will be possible to filter the products by applying AJAX filters on the pages. JetPopup plugin will assist by informing visitors about special offers and discounts in the form of eye-catching popups. JetCompareWishlist plugin will allow adding wishlist and comparison functionality to the website. Your eCommerce website will become more visited and attractive thanks to a responsive Blinky theme.